« No to Fentiman Road traffic scheme! 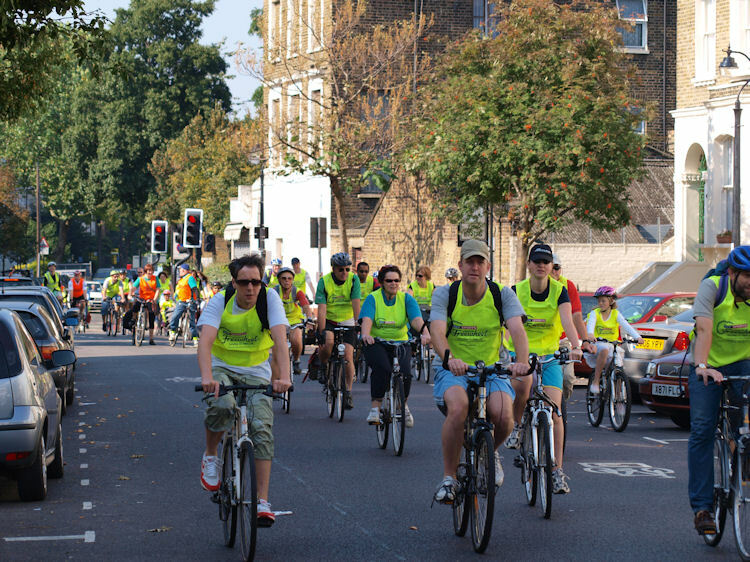 The London Freewheel took place today, with thousands of cyclists enjoying a traffic-free route which stretched from Buckingham Palace to the Tower of London. Four feeder routes brought people into the central area, one of them starting at Clapham Common and running through Aldebert Terrace and St Stephen’s Terrace. Last year apparently 38,000 cyclists took part – this morning what seemed like most of them were going past. 45,000 today, and I was one of them!